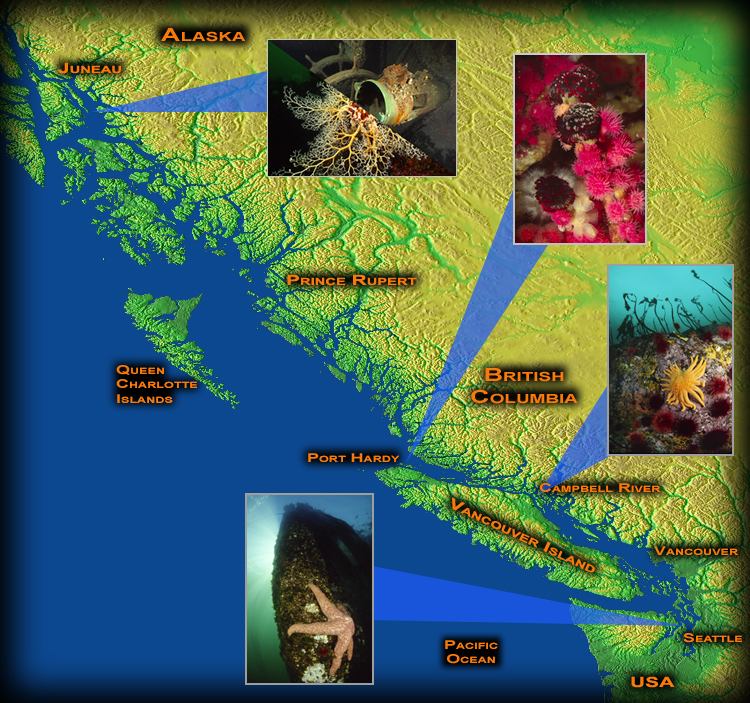 The waters of the Pacific Northwest are one of the riches and most diverse marine habitats anywhere. The waters here are sometimes referred to as "The Emerald Sea" because of their deep green color--a color that can only be truly appreciated by venturing into her depths. The photo galleries below are but a feeble attempt to share the beauty of these seas. . . . . This web site is best viewed using Netscape 6.x or Internet Explorer 5.x or later. The slide shows require a minimum monitor resolution of 1024x768 to see them in their entirety.